The decision to pursue graduate study in English, like other fields, is complex - part emotional and part rational. The emotional side of the equation is powerful. Becoming the first in your family to earn a graduate degree, being called "Doctor," and living a life of the mind are all tempting rewards. However, the decision of whether to study English at the graduate level also entails pragmatic considerations. In a difficult economic climate, the question becomes even more perplexing. Here are 4 reasons to be wary of a graduate degree in English - and one reason to embrace it. Admissions standards for many graduate programs in English are tough. Request applications from the top Ph.D. programs and the applications will be accompanied by warnings not to apply if you do not have a particular GRE verbal score and a high undergraduate GPA (for example, at least a 3.7). 2. Earning a Ph.D. in English Takes Time. Graduate students in English can expect to remain in school for at least 5 years and as many as 10 years. English students often take longer to complete their dissertations than do science students. Each year in graduate school is another year without full-time income. Some English students work as teaching assistants and receive some tuition remissions benefits or a stipend. Most students pay for all of their education. Science students are often funded by grants that their professors write to support their research. Science students often receive full tuition remission and a stipend during graduate school. Graduate study is expensive; students can expect to pay from $20,000-40,000 per year in tuition. so the amount of funding a student receives is important to his or her economic well being long after graduate school. Many faculties advise their students not to go into debt to earn a graduate degree in English because the job market for college professors, especially in the humanities, is bad. According to the Modern Language Association, over 50% of new PhDs remain part-time, adjunct teachers (earning about $2,000 per course) for years. Those who decide to seek full-time employment rather than reapply for academic jobs work in college administration, publishing, the government, and non-profit agencies. Why Embrace a Grad Degree in English? Reading, writing and argumentation skills are valued outside of academia. On the positive side, graduate degree holders in English hone their reading, writing, and argumentation skills - all of which are valued outside of academia. With each paper, graduate students practice constructing logical arguments and thereby hone skills useful in a variety of settings such as business, nonprofits, and government. Many of the negative considerations in deciding whether to apply to graduate school in English emphasize the challenge of obtaining employment in academic settings and the difficulty of financial graduate study. 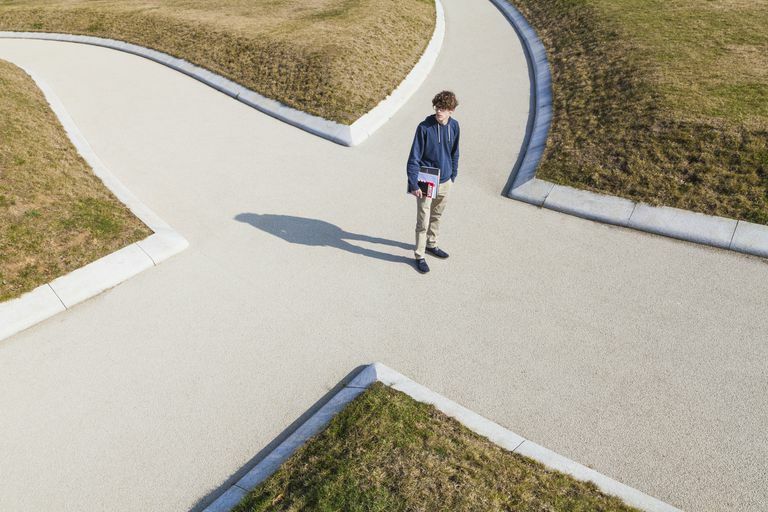 These considerations are less relevant for students who plan on careers outside of academia. A graduate degree offers many opportunities outside of the ivory tower. Remain open to considering alternative options and you'll increase the odds of a graduate degree in English paying off in the long run. Overall, the decision of whether graduate school is for you is complex and highly personal. Only you are aware of your own circumstances, strengths, weaknesses, goals, and capacities.